If you have a chunk of garden that you would like a ground cover for, barren strawberry plants might just be the answer. What are these plants? Read on for tips on growing and caring for barren strawberries. Barren strawberry plants (Waldsteinia ternata) are thus named due to their imitable resemblance to edible strawberry plants. An evergreen, barren strawberry is a ground cover with a spread of 48 inches or more but a low height of 6 inches. The foliage of barren strawberry plants is akin to that of edible strawberries with a wedge shape that turns to bronze in autumn. The plants have small yellow flowers, which again resemble those of edible strawberries, and appear in the spring. Barren strawberry is an herbaceous perennial that dies down over the winter and greens back up in the spring. It is suitable for USDA zones 4-9. In the mildest zones, the plants will remain as evergreen ground cover year round. This easy-to-grow perennial is suited to a wide range of soils and will thrive in full sun or part shade. The plant may be considered to be invasive by some, as it will rapidly spread via runners, much like edible strawberries. While barren strawberry is drought tolerant, it does not thrive in the hot temps of the South, better bets would be W. parviflora and W. lobata, which are native to that region. Use barren strawberry amongst stepping stones or along wooded paths in light shade to sun. 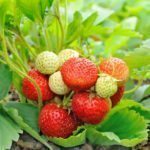 As mentioned, barren strawberry is tolerant of minimal irrigation, but to avoid stressing the plant, a consistent amount is recommended. 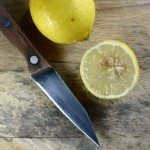 Otherwise, caring for barren strawberry is fairly maintenance and pest free. Propagation of barren strawberry is achieved through seeding; however, once the plant has established, it rapidly sends out runners, quickly filling any available space. Allow the seed heads to dry on the plant and then remove and collect the seeds. Dry and store them. Sow barren strawberry directly outdoors in the fall or spring, or sow indoors before the last frost for spring transplants. After barren strawberry blooms in the spring, the plant, again like edible strawberry, bears fruit. The question is, is fruit of barren strawberry edible? Herein lies the greatest noticeable difference: barren strawberries are inedible. 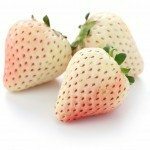 Read more articles about Barren Strawberry.